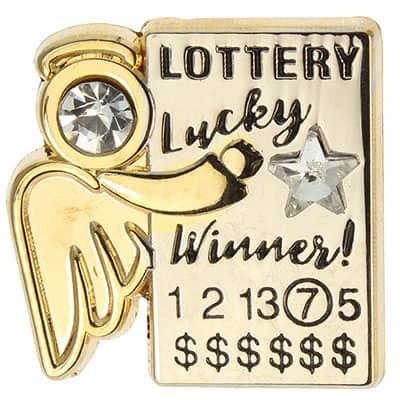 Wearing this Two Toned Lotto Angel pin may help you pick all the right numbers! All pins come on an explanation backer card. These pewter/gold pins measure 1 inch tall.